Springtime is the perfect opportunity to get out and get going on any home improvement projects you might have. It’s also the perfect time to make a few upgrades to your garage door. The Overhead Door Company of Western Kentucky has put together a list of things you might want to consider adding, upgrading, or, at the very least, checking out on your garage door while the weather is perfect. Torsion springs, hinges, rollers, and tracks are vital to your garage door working properly, yet they rarely get the attention they deserve. 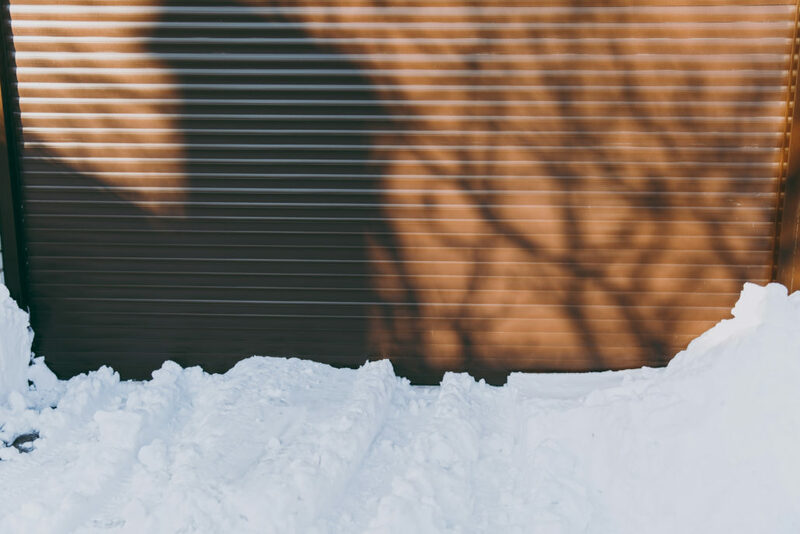 While making sure your door is sealed for when the seasons change, check on these lesser-known parts as well. While it’s important to make sure these elements are working properly, it’s not something you should try to do yourself – after all, they do have the tension that comes along with holding up a heavy garage door. Always make sure to call a trained professional in order to avoid injury. Even if you already have an opener in every car – and one in the kitchen drawer for safety – a wireless keypad outside your home can still be a wise investment. Despite your best efforts, there will always be those times when one of your openers seems to magically disappear and in those instances, you don’t want to find yourself locked out. What’s the worst part of most garage doors? It’s gotta be the sound, right? Unfortunately for most folks, they don’t have the Legacy® 920 Belt Drive Garage Door Opener. This powerful 24-volt motor has enough juice to silently lift any garage door up to 500 pounds with hardly a peep. That means no more notifying the entire neighborhood when you’re headed into the office extra early on a Monday. Plus, with a battery backup and smartphone capabilities, you’ve got plenty of options to choose for what you want to use as your remote opener. Interested in finding out more about garage door upgrades? Call us at the Overhead Door Company of Western Kentucky for more tips or to set up your appointment today! Curb Appeal. The technical definition is the attractiveness of a property for sale and its surroundings when viewed from the street. Translation? It’s when a house has some pop! The easiest way to add to the curb appeal of your home? Sprucing up your garage door! Think about it, it’s the largest, most visible item on the front of your home and it’s usually the first thing people see when they drive by. Adding visual intrigue to your garage door has its advantages, especially when it comes time to sell. Below, the Overhead Door Company of Western Kentucky has listed a few tips to bump up your home’s style to help you attract a few more eyes and dollars when you decide it’s time to move. Consider renting a power washer. It’s amazing what a simple high-powered stream of water can do. When used correctly, it removes dirt and grime that can build up over the seasons leaving certain parts of your home (i.e. your garage door) looking dull. Blasting it with the power washer will not only leave it sparkling clean, but it also makes it easy to paint and upgrade. If you’re looking for any additional tips on how to add curb appeal to your home, or if you’re looking to upgrade your garage door call the Overhead Door Company of Western Kentucky today. What’s the easiest way to make a cold winter day even worse? A garage door that doesn’t work. Luckily, we here at the Overhead Door Company of Western Kentucky have seen every sort of garage door disaster imaginable and we know how to prepare for all of them. 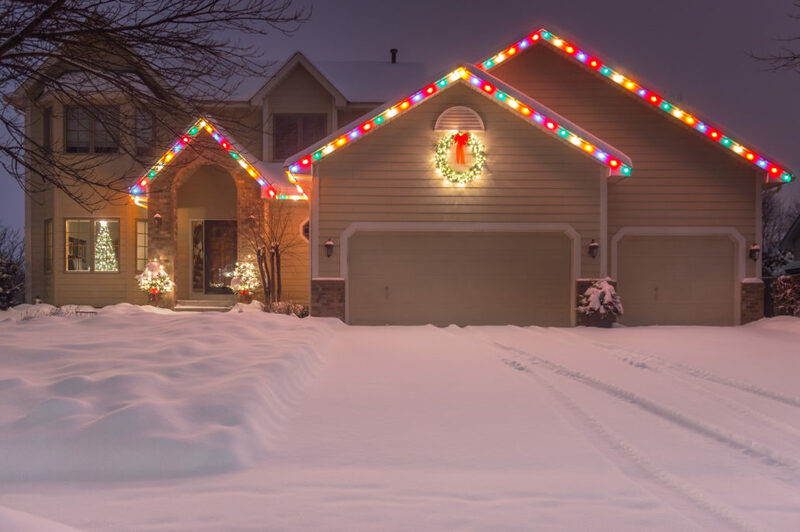 By following the easy precautions below, your garage door will not only survive but thrive during the later winter months. If you used Overhead Door Company of Western Kentucky to design your dream garage door, chances are, you put some thought into the details. Maybe you added some windows, interesting metal work, or a particular handle. Regardless of the features, you took your time to make sure that you got the exact look you desired. Don’t let these details fall by the wayside. Take the time to make sure that those windows are properly sealed, the metal is polished, and the handle is free of any snow or ice. After all, they looked amazing when you purchased them, and you want to keep them that way. In case you haven’t heard, wood and water aren’t the best of friends. Same goes for steel and H2O. In addition to harming the functionality, the aesthetic damage to your garage door can be considerable during the frosty months. Warping, rust, and water damage can all be prevented by washing your garage door with a mild cleaner and giving it a wipe down with a soft towel. Just make sure to save this for one of the days when you don’t have to throw on a parka to do it. 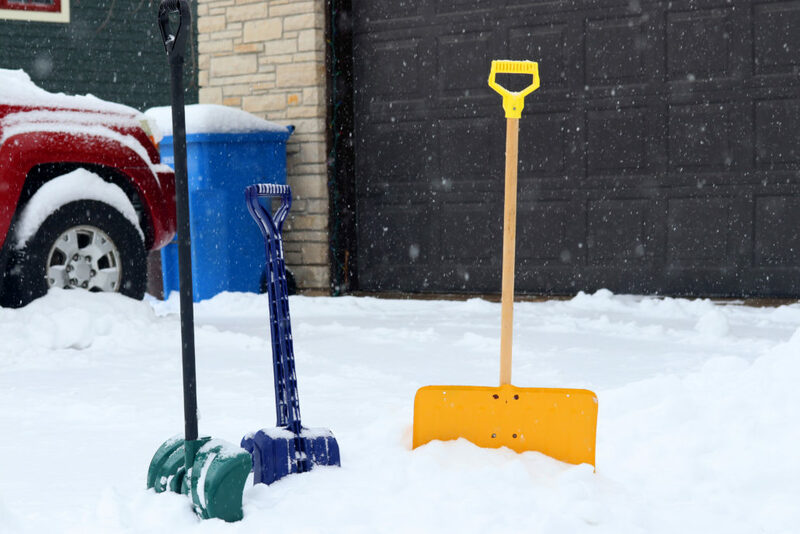 Ensuring your garage door’s moving parts – the rollers, tracks, springs, and hinges – are properly lubricated is imperative during the cold, snowy month. The elements can cause corrosive damage and buildup on everything listed above. This, in turn, leads to friction in your system and your motor having to work much harder than it should. Putting in the effort by adding a little elbow grease – and, in this case, literal grease – can go a long way. Spraying your system, with a thin, even coat of a lubricant like WD-40 should do the trick. Balance probably isn’t something that springs to mind when you’re thinking of garage door maintenance. If you think about it, when you’re pulling something straight up that weighs a few hundred pounds, you ideally want to spread out the weight as evenly as possible. Alas, it’s not always that easy during winter time. The combination of water and cold air can cause the metal elements of your garage door to warp which can lead to one side pulling more than the other. If you think this might be the case, check to see, but never, in any circumstance tinker with your setup yourself as doing so can be extremely dangerous. If you are in need of any repairs, a replacement door, or would like to get more information on how to keep your garage door in tip-top shape this winter, call the Overhead Door Company of Western Kentucky at the number below.